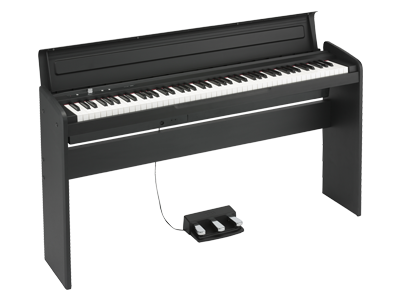 There are several crucial points in choosing a digital piano, such as the design, for instance. 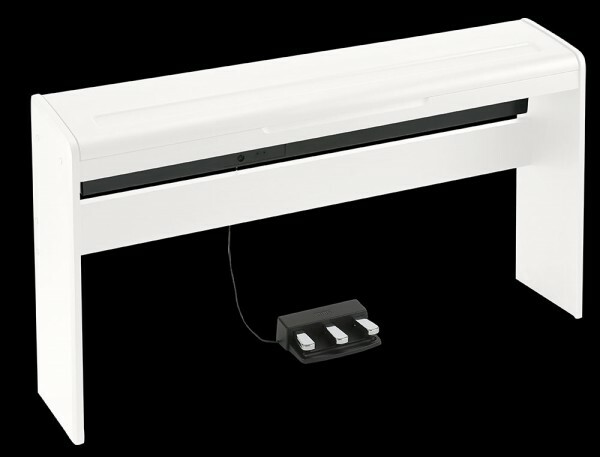 The slim, stylish body of the LP-180 comes in your choice of black or white, ensuring that it will fit unobtrusively into your room layout and decor. Another crucial point which has not been overlooked is the sound. KORG is internationally famous as a manufacturer of studio quality synthesizers and keyboards, and its acclaimed grand piano sounds are built into the LP-180. 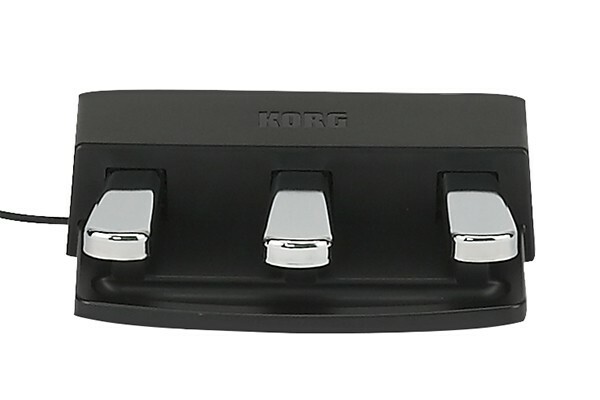 It goes without saying that all of the basics, including the keyboard, pedals, playing feel, and sound, are just as solid as you would expect from KORG with its more than fifty years of experience as a manufacturer of electronic instruments. If you choose the LP-180, you&apos;ll have the satisfaction of knowing you made the right choice. Natural Weighted Hammer Action (NH) keyboard is accurately weighted like a traditional piano, with a heavier touch in the lower ranges and becoming progressively lighter in the higher registers. Three levels of Key Touch Control allow the keyboard response to be matched to nearly any playing style, preserving all of the subtle expression of the original performance. Ten different expressive and high-quality sounds are built in, including piano, electric piano, vibraphone, pipe organ, and strings. There&apos;s also a reverb effect that adds reverberation and depth to the sound, and a chorus effect that gives the sound a spacious feel for enjoyable playing. 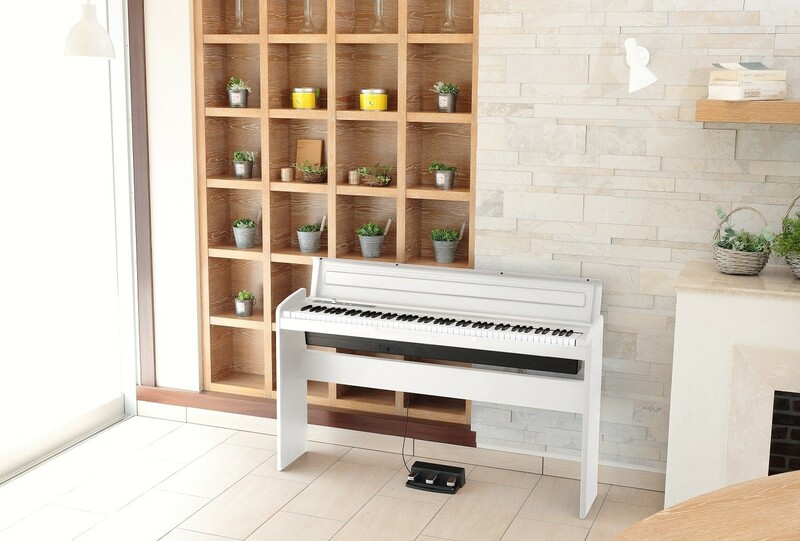 The pedals are indispensable for piano performance, and the LP-180 comes standard with the same three-pedal unit as an acoustic piano: damper, soft, and sostenuto. The damper and soft pedals also support half-pedal operation, allowing you to express the nuances that are important when practicing classical piano. Since there are two headphone jacks, you&apos;ll be able to enjoy lessons at any time. The slim LP-180 is a mere 27 centimeters in depth, allowing it to be placed anywhere. 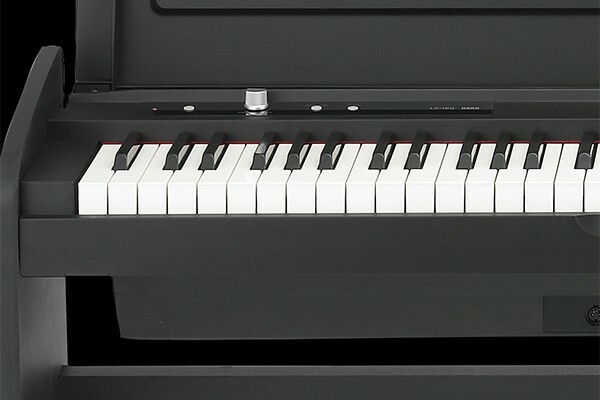 In a first for KORG&apos;s instruments of this class, a keyboard cover is provided, allowing the instrument to elegantly blend into any room when you&apos;re not playing it. Although it&apos;s slim and stylish, the body design also projects a sense of stability.